When you enter the Labyrinth of Fire, your party is separated again. This time, you need to guide each character through their own part of the dungeon in order to unlock the final door. 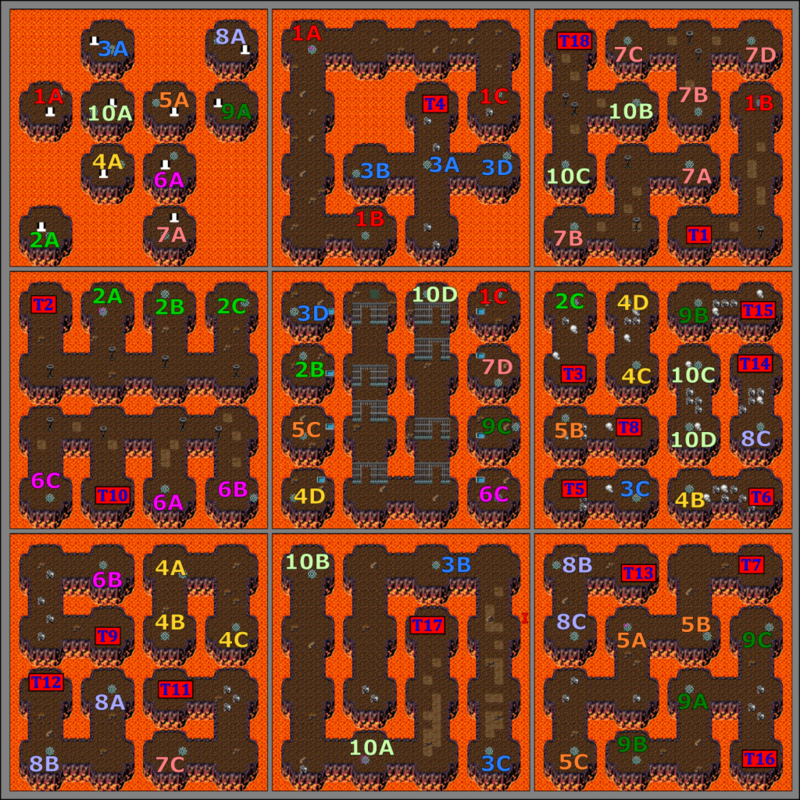 In order to do this, you need to change your formation, and put each individual member in the lead position and clear that part of the dungeon. You can do this in any order, but you'll want to use Blont last, since his path leads to the exit. It's worth noting that you can still put 5 people in your party for each part of this dungeon! Remembering this will make all the battles here much, much easier. If you want to follow along on the map, you'll need to set your leaders in the following order: 1. Temi, 2. Claw, 3. Midori, 4. Bruce, 5. Mazenda, 6. Lufa, 7. Linn, 8. Tink, 9. Zilva, 10. Blont. Note: Unlike the Lost Forest, here you can leave the dungeon at any time, and when you return your progress in the dungeon will still be saved. This battle's nasty. Try to kill the Twin Tails before you all get poisoned, then focus all your strongest skills on the Moddey Dhoo. After this battle, the seal to the next room will be broken. Your next destination is the Silver Ruins.